The Power House depends on the goodwill of numerous people who give generously of their time, talent, and treasure. The Power House Board of Directors is responsible for the overall governance of the organization, providing wisdom, accountability, and fiscal responsibility. We thank them for their valuable expertise and their commitment to our community. ERIC KORTE | CHAIRMAN | HOME LUMBER, INC.
Eric Korte owns and operates Home Lumber of New Haven, Inc. along with his brother, Brent, and cousin, Chad Korte. Together they represent the third generation in the family business founded in 1957. Home Lumber of New Haven has grown to become one of the leading building material providers in northeast Indiana, employing a staff of more than 60 people, with a multimillion-dollar inventory and a fleet of more than 30 delivery and service vehicles. Eric is a licensed contractor with years of experience designing many of the structural floor and beam components found in surrounding area homes. Proficient in CAD design, Eric has also designed many structures erected today. Eric and Lisa married in 1998 and together they now enjoy time with their 3 sons and daughter. They spend a good portion of their time cheering their children on in soccer and volleyball. In 2003 Eric became an elder at The Crossing Community Church located in New Haven where he continues to serve. There, Eric and Lisa have run a food bank, served as camp counselors and led various community groups. Ryan joined AMI Investment Management as a Financial Advisor in 2014 after previously running a branch office for a national broker dealer. He has spent his entire professional career providing and implementing investment recommendations to families and institutions. Ryan graduated from Purdue University’s Krannert School of Management with a Bachelor of Science degree in Management. He currently is a member of the Board of Directors for the Purdue Alumni Association. Ryan is a past President of the Purdue Alumni Club of Fort Wayne and in 2015 received Purdue University's Outstanding Young Alumni Award. He received a Certificate in Financial Planning from Boston University and in 2016 was awarded the CFP® certification from the CFP Board. Ryan is a member of Greater Fort Wayne Business Weekly’s Forty Under 40 class of 2017. Ryan has a passion for educating others on financial planning and is a past Adjunct Lecturer at Indiana University – Purdue University, Fort Wayne (IPFW) and enjoys volunteering as an instructor for Fort Wayne Community Schools on financial planning courses. He currently serves as the Treasurer of the Board of Directors for Power House Youth Center and Chair of the Finance Committee. He and his wife reside in Fort Wayne with their daughters. They attend Emmanuel Community Church. Sarah is a sixth grade teacher at New Haven Middle School. She has been with East Allen County Schools since 2015. 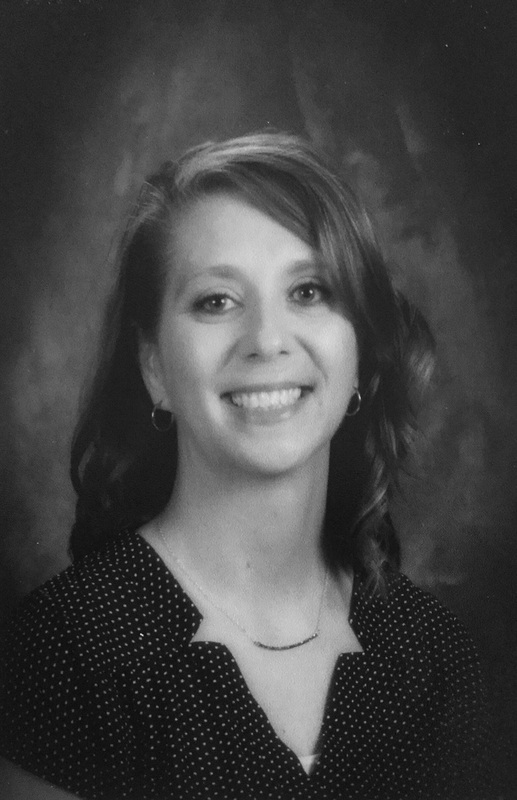 Prior to joining EACS, Sarah taught fifth or sixth grade in several different schools in Fort Wayne and Waterloo, IN. Sarah has a Bachelor of Science degree in Elementary Education. In 2016, she earned her Master of Science in Education with a concentration in Educational Leadership degree. Sarah is also a member of the Great KIDS of Allen County Academy Cohort. Sarah was married to Jason in 2000. They have two daughters, Haley and Madison. Haley is an adult with her own daughter, Emersen. Madison is a high school student. ​ Sarah and her family attend Pathway Church in Fort Wayne. Sarah is passionate about students and helping them to achieve their purpose in life. When she is not teaching or attending a school function for her students, she is likely spending her time watching her own child participating in a variety of athletic competitions, including All-Star Cheer and Track and Field. ​Paul works for American Landmaster where he is the Director of Lean/Six Sigma and is responsible for building teams to improve production performance by systematically removing waste and reducing variation. Prior to joining American LandMaster, Paul was a process engineer for the parent company, Ambassador Enterprises. Paul has a diverse background including 6.5 years in higher education strategic management/research, 10 years in manufacturing quality control management and 5 years as a United States Marine Corps logistics/supply officer. Paul and his wife, Nicki, have two children; a daughter, Brooke and a son, Luke. Nicki and Paul are members at Emmanuel Community Church in southwest Fort Wayne. 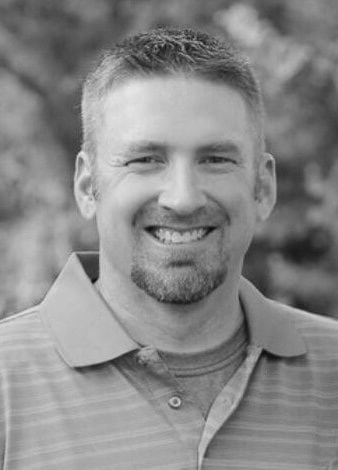 Chris Bada is the Director of Business Development for United Ortho in Fort Wayne, Indiana. He was born and raised in the Fort Wayne/New Haven area. Chris is very active at Blackhawk Ministries where he attends church. There he is a part of the worship ministry as well as serving as a member of the Global Missions Team. Chris is passionate about people and has a heart for loving the unloved, ostracized, or forgotten. He and his wife, Bailey, currently live in Fort Wayne with their dog, Moses. They enjoy serving together at Blackhawk as well as spending time with friends and family. Derek Bethay has taught History and U.S. Government at East Allen University since 2013. He has over 20 years of experience working with middle school and high school students in education, residential treatment, local church and para-church settings. Derek is a 1996 graduate of Indiana Wesleyan University where he double majored in Christian Ministries and Psychology; and is a 2009 graduate of IWU’s Transition to Teaching program. He has served on various school and district level educational committees, been a camp and conference speaker. Derek and his wife Christy have been married since 1997. They have two adult children Josh and Hannah. They attend Impact Community Church in New Haven, IN. A kid at heart, Derek enjoys sports, traveling, going to anything that is historical, movies, video games, and collecting Funko Pop figures. Most importantly he’s passionate about investing in the lives of young people and helping them to reach their academic, emotional and spiritual potential. STEVE VACHON | KELLEY AUTOMOTIVE GROUP Steve works for the Kelley Automotive Group as the Service Director for Kelley Chevrolet in Fort Wayne, Indiana, and has been in the automotive industry since 1991 and with the Kelley Automotive Group since 2012. Steve grew up in the Fort Wayne, Indiana area and attended St. Therese, Bishop Luers, and IPFW. He has extensive training in Management and Leadership from Chrysler, VW, General Motors, Volvo, Ford, and the Arbinger Institute. Steve feels blessed to be married to the love of his life, Kristy. They were married in January 2004 in Fort Wayne, Indiana and the next day moved to Eugene, Oregon. While there, Steve and Kristy were very involved with their church, St. Paul, with Kristy being involved in many ministries and Steve involved in the Knights of Columbus as well as many other groups including founding the first 20's & 30's ministry in the area. They moved "home" in December 2010. Steve and Kristy have two beautiful children - Clare and Luke. Their family actively practices their Catholic faith and belongs to St. Vincent's Catholic Church where both Clare and Luke attend school and Kristy works part time. Steve's hobbies and interests revolve around hunting, fishing, and hiking. Their family loves the outdoors and loves to spend as much time as possible, together, outside having adventures. ​SANDRA KELLER | DESTINY RESCUE Sandra volunteered with Destiny Rescue for 2 years and came on staff in 2015 as National Advocate Coordinator. She has a passion for youth, justice and connecting others to tangible ways they can get involved in the fight against child slavery and exploitation. In 2018, after pioneering Destiny Rescue’s youth initiative, Take a Stand and annual dinner celebration, Taste for Freedom, Sandra moved into the position of National Director of Events. Her roll currently has her traveling across the USA leading remote teams in multiplying these successful fundraising events. Sandra studied criminology at both The King’s College and Winona State University. She put her passion for youth and justice to work with the Illinois Department of Corrections Juvenile Division for 13 years. Sandra Keller is a wife of 18 years to Mike, Mom of 3 handsome boys and calls County Line Church of God home. Sandra enjoys traveling, being outdoors and a good old table game competition. She’s always up for a Settler’s of Catan challenger! REBECCA CAMERON | THE HISTORY CENTER Rebecca is the marketing coordinator for The History Center in downtown Fort Wayne. Rebecca’s previous roles have been associate editor for Fort Wayne magazine and a freelance writer since 2000. In addition to writing, Rebecca has also worked in corporate communications, the non-profit sector, and served on the Civic Theatre board from 2011-2017. Rebecca earned her Bachelor's degree in communications from Butler University and has used this broad-based education throughout her career in writing for publications, broadcast media and advertising/marketing. Rebecca is married and her husband Jeff is a firefighter for the city of Fort Wayne. They have six children: Tyler, Kate, Jack, Charlie, Sam and Bobby along with a fur-child--a Vizsla named Stella. Rebecca currently attends St. Andrew the Apostle Byzantine Rite Catholic mission at the University of St. Francis. In her free time, Rebecca and Jeff enjoy spending time with family. Personally, Rebecca enjoys reading, knitting and running/walking with friends. Rebecca’s passion lies with writing, and she currently has a few works-in-progress. One of the youngest mayors in New Haven’s history, Terry McDonald is a graduate of Heritage High School and Taylor University. Terry is a single father of three children: Caitlin, Cameron, and Ryan. Since 1985, Terry has served New Haven as a member of its Police Department. Terry is a D.A.R.E. (Drug Abuse Resistance Education) officer, teaching the children of the community to stay away from drugs and alcohol. He has been an active member of the community, serving on policy committees for East Allen County Schools on issues such as drug and alcohol use, gangs, student safety, and drug education. Terry has served on The Power House Advisory Council since 2000 and became the President and and Chairman in 2003. In 2005, Terry also became a member of the Power House Alliance Board of Directors. In 2008 Terry chose to move into an Emeritus role on the Advisory Council after serving for five years as President and Chairman. Terry continues to serve in both roles on the Advisory Council and The Power House Alliance Board of Directors. Solitare was born and raised in Fort Wayne, Indiana, and attended Concordia Lutheran High School and Ivy Tech where she received her nursing degree. She is the oldest of six children. She has been married to the love of her life, Jason Hile, for almost 19 years. They have 3 children, Grace, Mitch and Emily. They attend church at St. Elizabeth Ann Seton. Solitare previously worked as a nurse at Parkview for 10 years, before she fell into the catering and event business. She now owns and operates a small business in New Haven called, "The Orchid Events and Catering". She is grateful for the opportunity to serve God daily in all areas of her life. Her hero is Mother Teresa, who she admires for her incredible love for everyone, but most especially the poor, sick and dying. Her goal in this life is to ask God daily what it is that he wants from her and to do it, all while having the joy that God desires for her family.